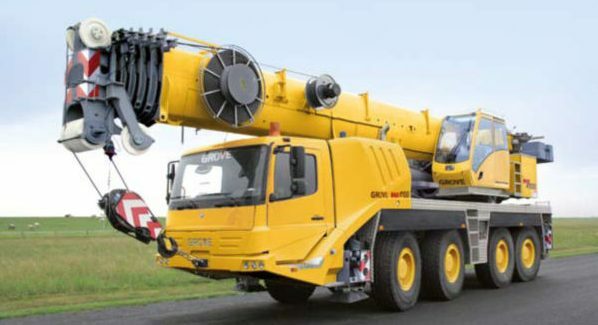 Midlands Lubricants Ltd, supplier distributor of own brand Oils, of Crane Hydraulic Oil, Various Lubricants and Grease have a fantastic product range suitable for various cranes including Tadano Mobile Cranes, Tadano Truck Cranes, Crawler Cranes, Self Propelled Cranes, Yard Cranes and Railway Cranes. This is the Oils we suggest for Tadano Faun Crane range. Obviously Tadano Faun Cranes are extremely complicated pieces of equipment and have multiple lubrication needs. Midlands Lubricants suitable Tadano Faun Crane Oils include 15w/40 E7 or E9 Engine Oil – HVI 68 Hydraulic Oil – 75w/80 GL4 Gearbox Oil – UTTO Transmission Fluid – Drives, Boom Oil and Crane Chain Case, Bevel Case Fluid and Antifreeze Blue Concentrate Coolant.